Since the mid 1950's, Bomanite has remained the most recognized decorative concrete systems brand. Since the mid 1950’s, Bomanite has remained the most recognized decorative concrete systems brand. Quality products installed by quality people. Other companies sell their products and tools to any concrete contractor. Not Bomanite. Only Bomanite Licensed Contractors have access to Bomanite products, systems, technology, training and tools. This is the only way to maintain quality and it’s worked for over sixty years. Over the last 50 years, Bomanite has developed new systems for various toppings, concrete overlays, coloration systems, stains, concrete dyes, exposed aggregates, and polished concrete. These systems of products complement the proven imprinted concrete techniques and pervious concrete system, Grasscrete, that put the Bomanite brand on the map over sixty years ago. The Bomanite Company and its licensed group of contractors continue to distinguish themselves as the best in the industry. To guarantee consistently high standards, Bomanite offers training, marketing, technical services and support to its contractors and to the design community. 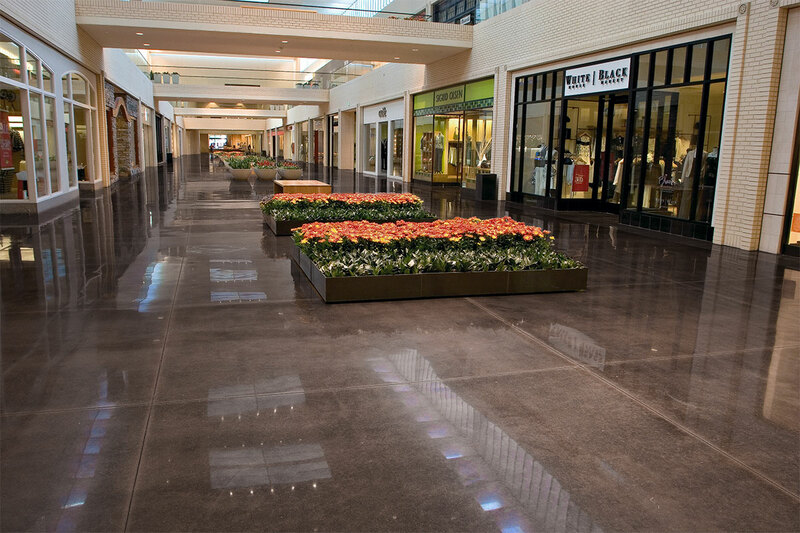 Innovative systems in the hands of highly creative, skilled craftsmen translate to extraordinary architectural concrete paving and flooring solutions. Bomanite partners exclusively with a network of experienced and specially trained concrete professionals dedicated to the highest standards of quality and service. These specialists and Bomanite form an unbeatable, unique team. The exclusive technology behind Bomanite Custom Polishing paired with our long established licensed installation network, delivers the industry’s best concrete flooring systems. Polished concrete is a multi-step process, customers can choose the level of sheen – from satin to high gloss – that meets their maintenance and aesthetic requirements, this versatility makes polished concrete an ideal flooring material for a variety of applications. Bomanite Imprinted concrete surfaces are the most durable surfaces of their type on the marketplace. Imprinted Concrete’s versatility makes it an ideal flooring and paving material for a variety applications from interior to exterior. Grasscrete is a cast-in-place, monolithic, continuously reinforced, pervious concrete pavement system that provides superior structural integrity and performance. Ideal for emergency access lanes, delivery access routes, maintenance access, embankments, overflow parking areas and intermittent drainage channels to help prevent erosion. Micro Top uses a paper-thin cementitious medium that’s troweled on to create a canvas for unlimited artistic expression. This state-of-the-art system can cover virtually any surface with almost any kind of artwork you can imagine: custom logos, colorful graphics, creative patterns and more. Bomanite Sandscape® Texture is a highly durable and cost effective architectural concrete finishing option that utilizes specialized concrete mix designs containing select sands and aggregates. Bomanite Sandscape Texture is the product of choice for projects requiring a decorative and durable finish alternative to traditional concrete paving.